You know how they say flying business spoils you on economy forever? Well imagine going back to turning right when you have flown private. It used to be that only Hollywood movie stars and the Kardashians could afford the luxury of private jet travel, but with the introduction of a number of new tours, mere mortals are now able to get in on the act too. 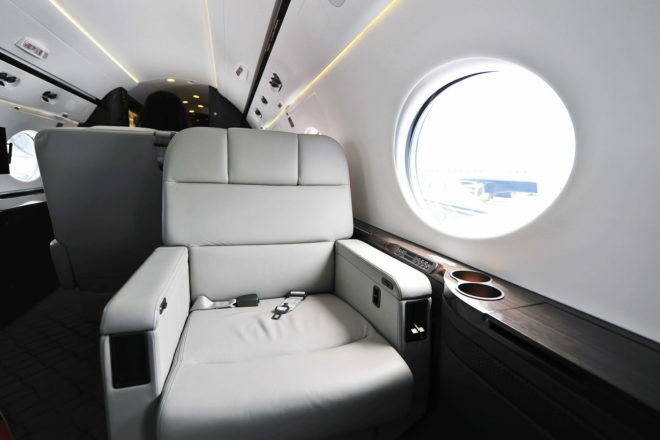 Forget sitting for hours in cattle class, elbow wrestling for the armrest and eating airline food; apparently the best (and increasingly most popular) way to get from A to B is by private jet. You know how they say flying business spoils you on economy forever? Well imagine going back to turning right when you have flown private. It used to be that only Hollywood movie stars and the Kardashians could afford the luxury of private jet travel, but with the introduction of a number of new tours, mere mortals are now able to get in on the act too. Here, we look at what’s on offer to where. Antarctica Flights has solved the age-old quandary of what to do on New Year’s Eve with its Flight Seeing trip to Antarctica. Giving whole new meaning to ‘private jet’, a specially chartered Qantas 747 will allow guests to take in the pristine landscape below in just one day – the aircraft will take around four hours to reach the South Pole before descending over icebergs and crossing the Antarctic coast, continuing on to Cape Hudson and Washington and the magnificent Trans Antarctic Range. The flight will include celebratory drinks, dinner and even a live jazz band. The flight departs from Melbourne on 31 December, with a Sydney departure on 7 January 2016, and an additional Melbourne departure on 14 January. Prices range from $1199 to $7999 per person. Aman Resorts and bespoke travel operator Remote Lands have pooled their luxury resources to offer a private jet journey across Asia, taking in Vietnam, Laos, the Philippines and Japan. A total of just 16 guests will travel on two Gulfstream jets and stay at Aman Resorts properties in Vinh Hy Bay, Siem Reap, Luang Prabang, Palawan and Tokyo. On the ground, touring is by private car, with each couple having access to their own driver and guide. The 14-day tour will run from 6–20 March. In keeping with its reputation for offering the ultimate in luxury, Four Seasons hotel group now has its own private jet to up the ante for its guests. The custom-designed Four Seasons Jet is decked out in the same signature style as the company’s hotels and resorts, with on-board service professionals trained to the same exacting standards. The 2016 itinerary includes International Intrigue, a 24-day around-the-world journey taking in Seattle, Beijing, The Maldives, Serengeti, Istanbul, St Petersburg, Marrakech and Boston. The flight and cabin crew stay with guests throughout the journey, creating a home in the skies, as it were, with lie-flat seats, free-flowing Dom Perignon, a wine list curated by a panel of experts and cuisine from an on-board chef. To mark the occasion of the release of the new James Bond film, Spectre, Parrot Cay by COMO has put together a once-in-a-lifetime experience that includes private jet transfers to the Turks and Caicos by Chapman Freeborn, a five-day private yacht cruise, and back on land the run of celebrated fashion designer Donna Karan’s island home, The Sanctuary. You also get access to the resort, with facilities such as COMO Shambala Retreat’s wellbeing treatments and butler service at your disposal. Sounds like a real money-can’t-buy-experience, right? Wrong. Money can buy this holiday package – a lot of money! The accommodation alone costs $183,785. Oh well, it’s nice to know how the other half live.